This Guide to Healthy Eating for Kids will help you to teach your child to love nutritous eating! 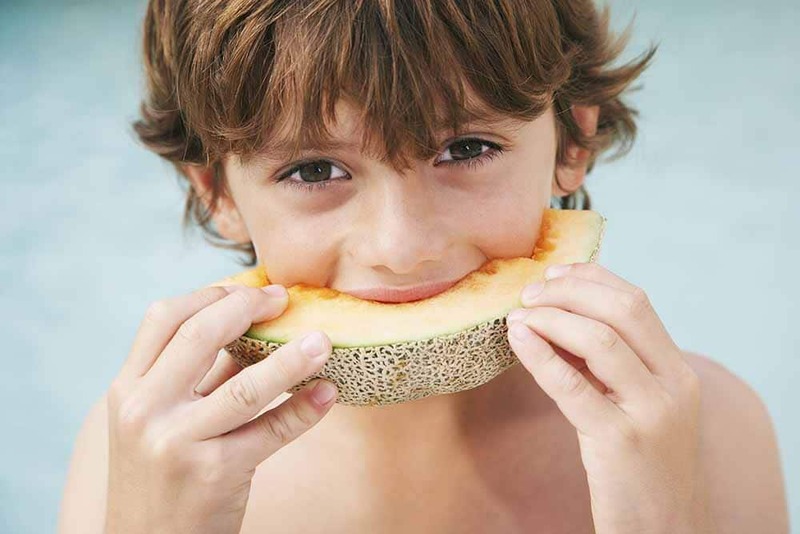 1.1 How do you encourage Healthy Eating for Kids? 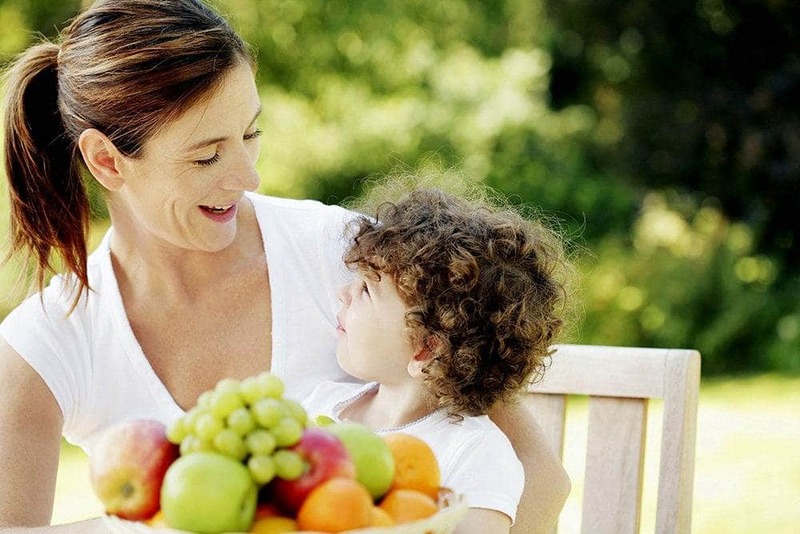 How do you encourage Healthy Eating for Kids? As parents, we all know that forcing kids to do what you want never ends well and battling them to eat healthy food is no different. Of course, we all want our children to eat the best, most nutritious food that we can offer them so they can have healthy bodies and minds. But kids are kids and they may not always understand this. Fortunately, they are many ways we can promote healthy eating for kids that will relieve your mealtime anxieties! One great way to get the kids eating healthy is to involve them in preparing it. Letting them help in the kitchen will help them to feel more connected to the food they are eating. Even better, let them help you pick out a recipe, shop for the ingredients, and prepare the meal! You can even start a garden! If they have worked hard for their food and learn about where it comes from, they will be more likely to eat it. 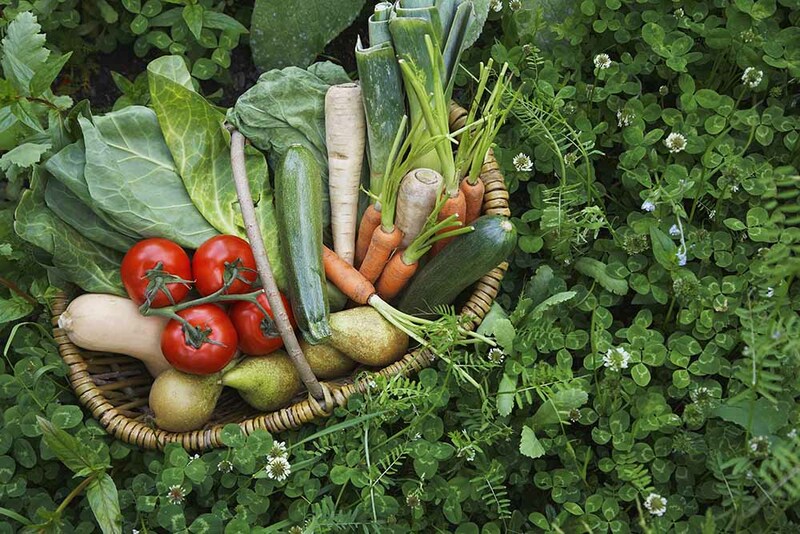 There’s just something magical about eating something that you’ve taken the time to grow and prepare. They won’t want to waste a single bite! You don’t even need a huge yard to start a garden. There are plenty of containers you can use to plant your own garden at home. Read all about starting your own container garden. 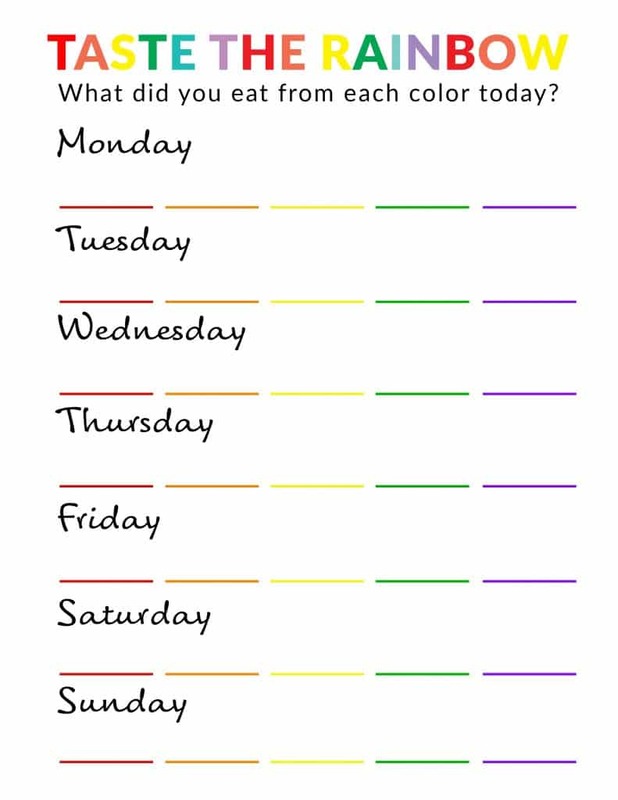 Teach kids to eat a rainbow each day. This was advice that I received from my pediatrician and I thought it was great. He told me that he wasn’t even stressed if my kids weren’t eating a ton of vegetables, as long as they were eating one color from the rainbow each day. Foods with different colors each contain different nutrients that are vital to our children’s health. To eliminate battles, let the kids pick their own rainbow for the day. Contains: Lycopene, ellagic acid, Quercetin, and Hesperidin, to name a few. These nutrients reduce the risk of prostate cancer, lower blood pressure, reduce tumor growth and LDL cholesterol levels, scavenge harmful free-radicals, and support join tissue in arthritis cases. Orange and Yellow Contain: Beta-carotene, zeaxanthin, flavonoids, lycopene, potassium, and vitamin C.
These nutrients reduce age-related macula degeneration and the risk of prostate cancer, lower LDL cholesterol and blood pressure, promote collagen formation and healthy joints, fight harmful free radicals, encourage alkaline balance, and work with magnesium and calcium to build healthy bones. Contain: Chlorophyll, fiber, lutein, zeaxanthin, calcium, folate, vitamin C, calcium, and Beta-carotene. The nutrients found in these vegetables reduce cancer risks, lower blood pressure and LDL cholesterol levels, normalize digestion time, support retinal health and vision, fight harmful free-radicals, and boost immune system activity. 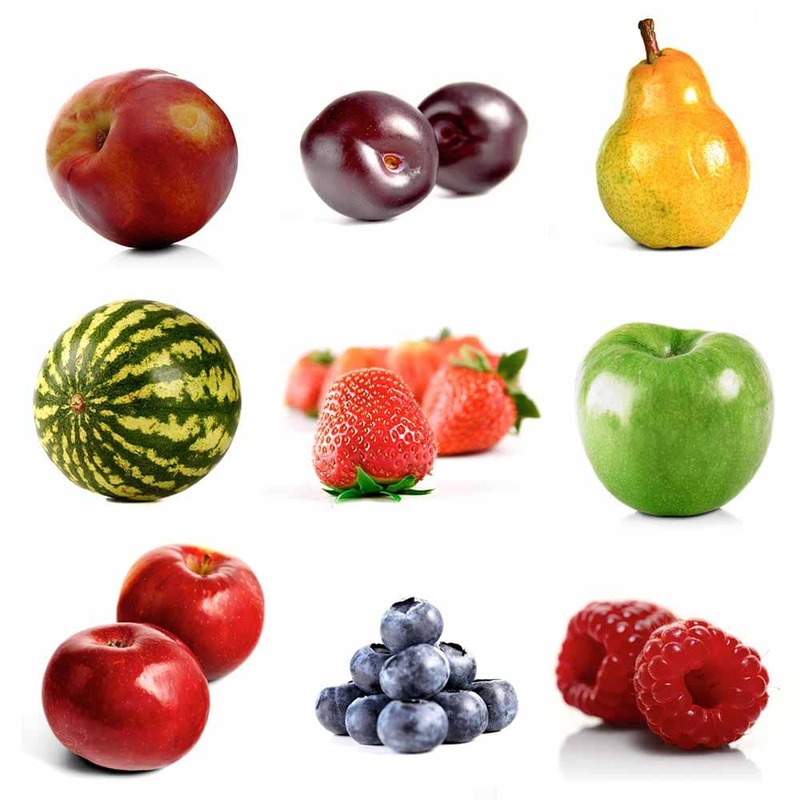 Blue and Purple Contain: Lutein, zeaxanthin, resveratrol, vitamin C, fiber, flavonoids, ellagic acid, and quercetin. Support retinal health, lower LDL cholesterol, boost immune system activity, support healthy digestion, improve calcium and other mineral absorption, fight inflammation, reduce tumor growth, act as an anticarcinogens in the digestive tract, and limit the activity of cancer cells. Beta-glucans, EGCG, SDG, and lignans that provide powerful immune boosting activity. These nutrients also activate natural killer B and T cells, reduce the risk of colon, breast, and prostate cancers, and balance hormone levels, reducing the risk of hormone-related cancers. Use our handy and free download to help your kids pick their rainbow each day! One thing we’ve instituted in our home is an open fridge policy. This doesn’t mean they can grab any old junk they want, but they are allowed to eat any fruits or vegetables without even asking. I’ve cleared out the two eye-level shelves in my fridge and keep open containers of carrot sticks, mini cucumbers, celery, peppers, sugar snap peas, blueberries, grapes, strawberries, apples, oranges, etc. all available any time they want them. This has really helped reduce their snacking on other junk around the house. The first thing they see when opening the fridge are fruits and vegetables. My kids tend to eat as many vegetables as their bellies can fill when they have something to dip them in. Offer some healthy hummus or greek yogurt ranch to dip their veggies in. Or offer healthy peanut or almond butter on celery or apples. Try our healthy rainbow rice paper rolls. Whatever you do, do not make mealtimes a time for battles or emotional or mental drama. This can give children a bad association with healthy food and eating in general and can lead to eating disorders in the future. Encourage healthy eating for kids and offer nutritious options each mealtime. Don’t stress if your kids aren’t eating much either. Appetites in children fluctuate even more than they do in adults depending on growth spurts and activity levels, so don’t sweat it if they skip a meal or only take a few bites. When they are hungry they will eat. Healthy eating for kids is so important, but it doesn’t mean that kids can’t have an occasional treat here and there. If they are forbidden from having any treats, they may likely binge when they are on their own or at a friend’s house. Help kids to recognize how healthy eating makes them feel and even more important, help them to recognize how unhealthy eating makes them feel. Talk about the energy and vitality you feel when you drink enough water and eat vegetables and how sluggish and sick you feel when you’ve had too much sugar. Sometimes kids won’t make these correlations on their own and they may need to be pointed out so that they can make their own decisions on healthy eating. Most importantly, don’t make healthy eating for kids a burden. It can be fun, colorful and tasty! We would love to hear how you make Healthy Eating for Kids fun and realistic in your home! Get in touch with us on Facebook or Instagram!